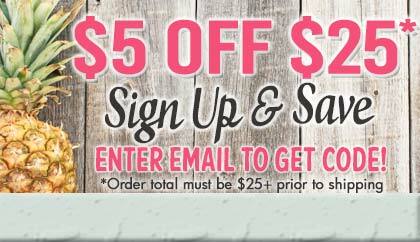 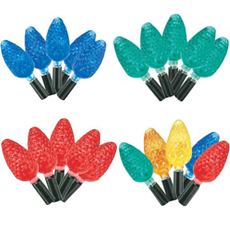 The best Christmas Lights selection available to you. 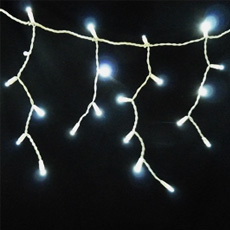 Shop Christmas string lights of all sizes and styles including traditional retro Christmas string lights, Christmas mini string lights, Christmas icicle string lights, C7 / C9 Christmas light bulbs and strings. 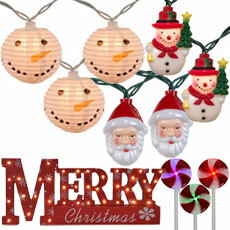 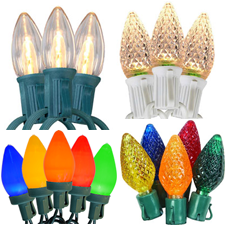 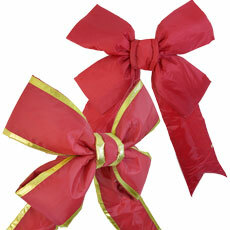 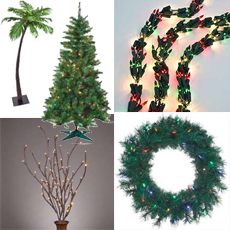 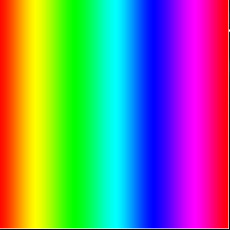 Outdoor Christmas lights come in a variety of colors, shapes and sizes. 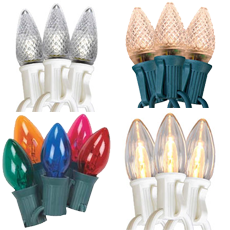 LED Christmas Lights have advanced technology to offer you time and energy savings. 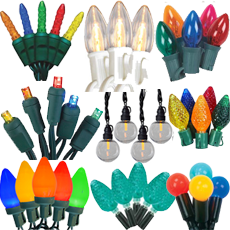 Installation is easy and these LED Christmas string lights product vibrant colors that last longer than traditional incandescent Christmas string lights. 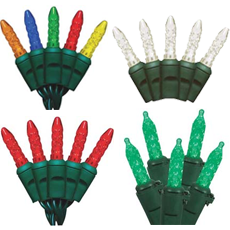 Christmas Icicle lights are great for using outdoor hanging from roof lines, porches fences and railings. 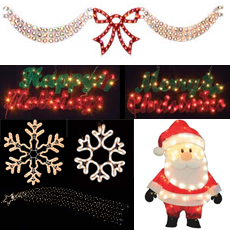 Christmas Icicle string lights are available in traditional incandescent Christmas icicle lights or LED Christmas icicle lights.